We are gearing up for one of the most exciting weeks of our calendar year. Purim is almost here and will be celebrated on Wed. Mar. 4th! Please be sure to RSVP to Nancy Holab Nevins nhnevins@amyisrael.org or Nan Naranjo nnaranjo@amyisrael.org as stated in the emails that came from the class parents this week. We need to know how much food to have ready for our dinner in between the Purim Games and Megillah Madness. 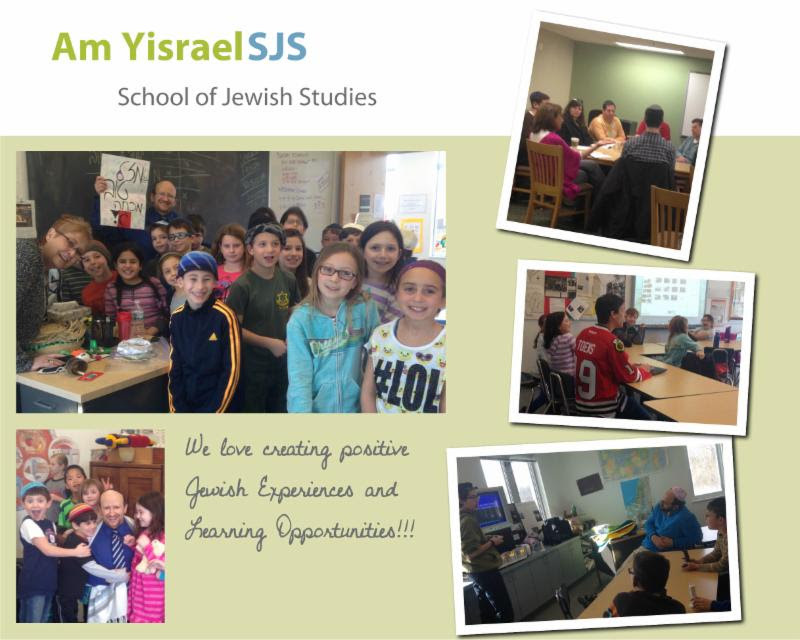 A program that involves our ENTIRE Am Yisrael community includes Purim contests, activities, scavenger hunt, etc. : Wednesday, March 4th beginning at 4:15 p.m.; dinner @ $5.00 per person begins at 6:15 p.m. and Megillah Madness will be very unique from 6:45 p.m.-7:45 p.m. Costumes are strongly encouraged for all ages. Fun will be a given! Mazal Tov to our SJS Zayin student Nathan Brodkin, his parents Inna and Oleg Brodkin and his brother Ari. Nathan will be called to the Torah this Shabbat as a Bar Mitzvah. On a personal note, Laura, Michael, Gabe and I are so grateful to our community for the incredible kindness shown to us celebrating the birth of Amelia!!!! We can’t wait to introduce her to the Am Yisrael Family!!!!! Shabbat Shalom! 22nd Week: SJS 2/22 & 2/25 + Other Excitement! I started the week by having an amazing professional development session with our teachers through the Board of Jewish Education and Jewish Educators Assembly. As we close the week I am now the dad to three children. 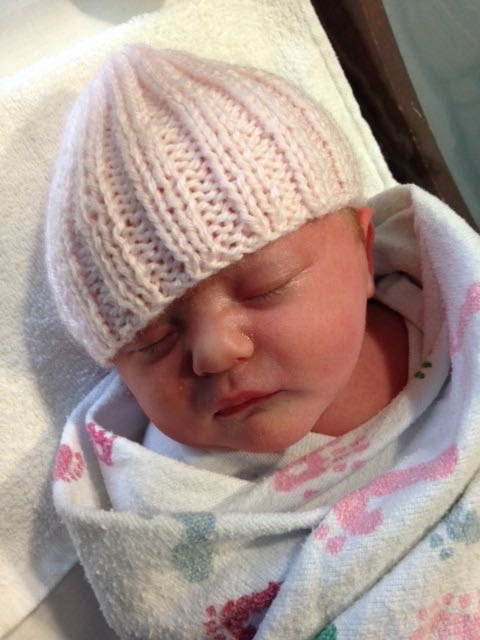 Laura, Michael, Gabe and I welcome into our immediate family Amelia Jane Sherman. Born on Tuesday, Feb. 17th, the 28th day of Shevat, Amelia is such a treasured love. Laura and I look forward to introducing her to Judaism through our wonderful Am Yisrael community. Amelia’s Abba will be in and out of Northfield the next couple of weeks. 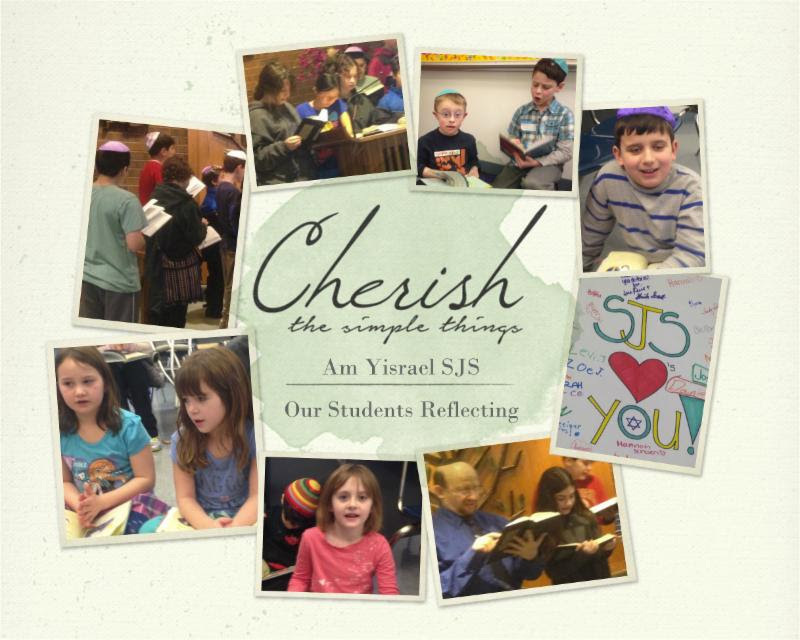 Rest assured, thanks to our clergy and staff, team of educators, class parents and our Youth Boards, we have programs galore and can’t wait to continue creating wonderful Jewish experiences with our students and their families. Please be sure to RSVP for these upcoming programs as they are sure to be great! A program that involves our ENTIRE Am Yisrael community are our Purim contests, activities, scavenger hunt, etc. : Wednesday, March 4th beginning at 4:15 p.m.; dinner @ $5.00 per person begins at 6:15 p.m. and Megillah Madness will be very unique from 6:45 p.m.-7:45 p.m. Costumes are strongly encouraged for all ages. Fun will be a given! Finally, Mazal Tov to our SJS Zayin student Ella Levi, her parents Becky Levi and Meni Levi and her sister Noa. Ella will be called to the Torah this Shabbat as a Bat Mitzvah. Shabbat Shalom! On Wednesday afternoon, March 4th, we are inviting the children in the Gan, Aleph and Bet classes, Day School students and those not yet enrolled in SJS to join the Gimel, Dalet, Heh, Vav and Zayin classes for our Purim festivities at Am Yisrael. Our Kadima Board is planning fun activities that will begin at 4:15 p.m. on March 4th. We will be selling tickets for dinner that will begin at 6:15 p.m. and our Purim Megillah Madness for the entire congregation will take place from 6:45 p.m.-7:45 p.m. We ask everyone (adults included) to come dressed in costume. In addition, just a reminder that we do not have SJS this Sunday, February 15th in honor of President’s Day and Faculty Professional Development. SJS resumes on Wednesday, February 18th. Please be sure to check out the class home pages to see what is going on in Gan through Confirmation classes and please make sure that your Gan through Zayin students continue their Hebrew reading logs. Finally, thank you to everyone who has been RSVPing for our many upcoming programs. Shabbat Shalom! 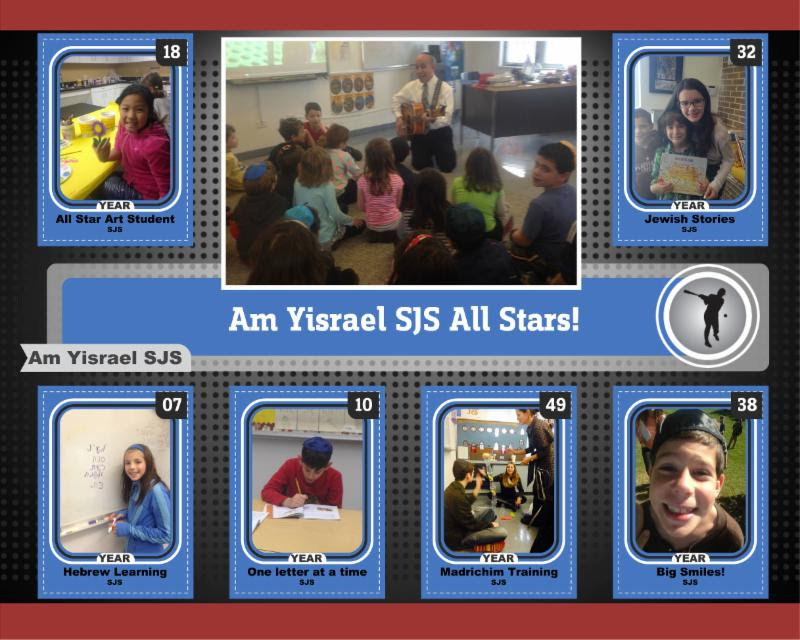 Am Yisrael SJS has many wonderful programs coming up. Please be sure to RSVP for events when the emails come out. We have found that separate, concise emails are the best way to collect RSVPs, so I will keep this message short so that you can focus on those this week. I look forward to seeing you at SMFP tomorrow morning beginning at 9:30 a.m. sharp, at SJS on Sunday 2/8 and Wednesday 2/11 and at the concert honoring Rabbi Newman Kamin on Sunday afternoon 2/8 that begins at 3:00 p.m. Shabbat Shalom!